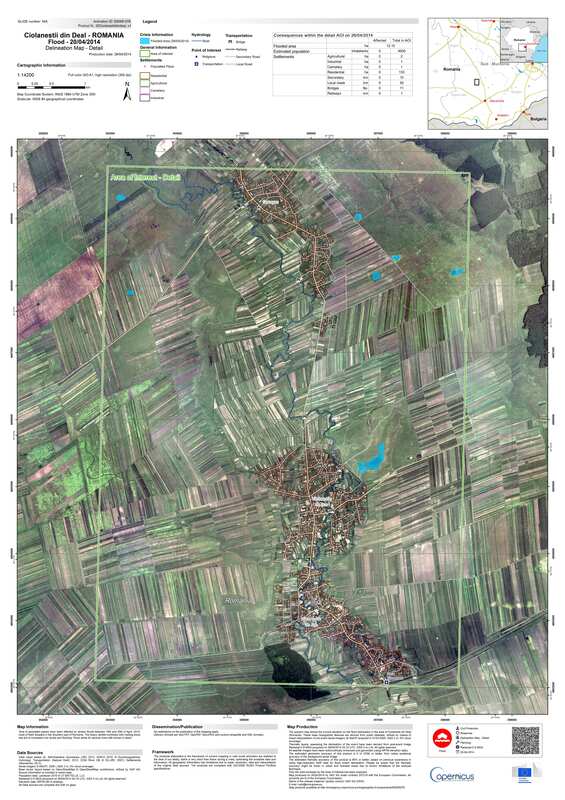 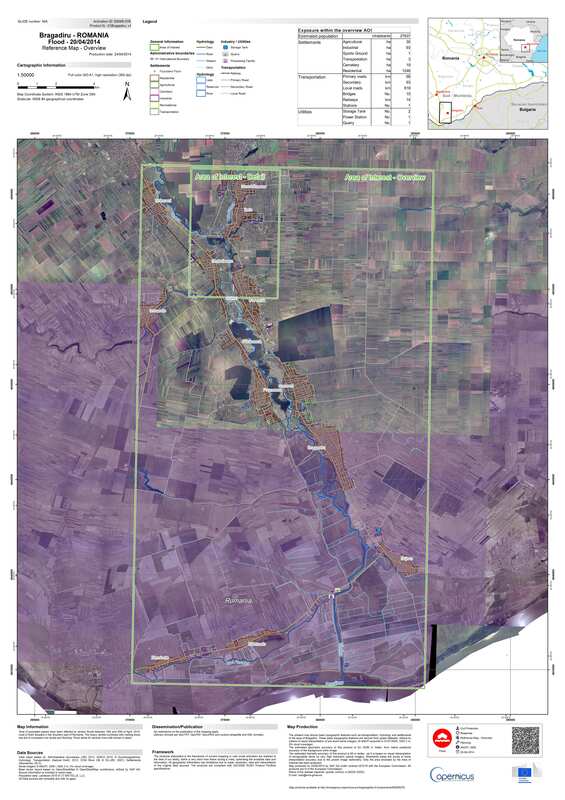 The heavy rainfall recorded between 18-20 April in southern Romania led to the flooding of several localities in the Vedea hydrographic basin. 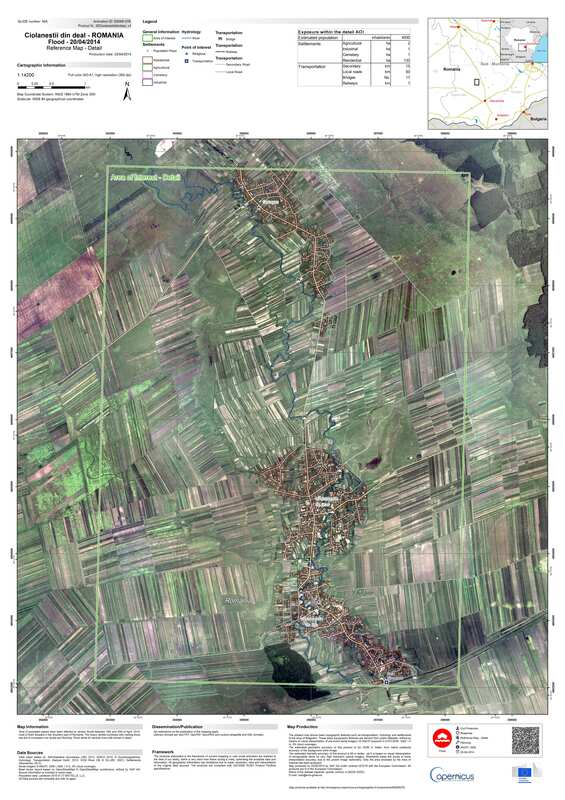 Hundred of houses have been damaged and four people died. The Romanian Space Agency (ROSA) together with the General Inspectorate for Emergency Situations and the National Meteorological Administration provided information and data to the Emergency Management Service, part of the European Earth Monitoring programme (Copernicus). 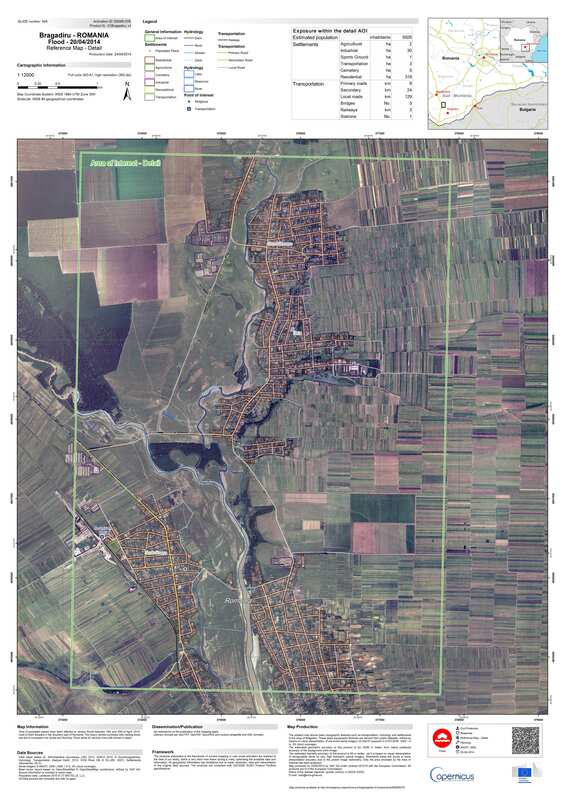 Based on these data and on the satellite images immediately acquired it is possible to create a set of maps in order to objectively identify the affected areas. 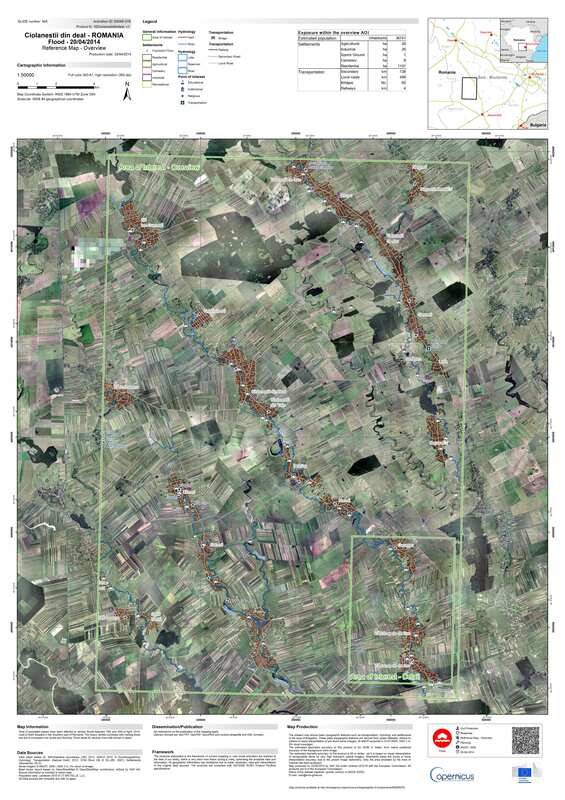 Overview situation map (scale 1: 14 200) Ciolăneștii din Deal area 24.04.2014.